WASHINGTON — As Pakistani civilian and military leaders arrive here this week for high-level meetings, the Obama administration will begin trying to mend a relationship badly damaged by the American military’s tough new stance in the region. Among the sweeteners on the table will be a multiyear security pact with Pakistan, complete with more reliable military aid — something the Pakistani military has long sought to complement the five-year, $7.5 billion package of nonmilitary aid approved by Congress last year. The administration will also discuss how to channel money to help Pakistan rebuild after its ruinous flood. But the American gestures come at a time of fraying patience on the part of the Obama administration, and they will carry a familiar warning, a senior American official said: if Pakistan does not intensify its efforts to crack down on militants hiding out in the tribal areas of North Waziristan, or if another terrorist plot against the United States were to emanate from Pakistani soil, the administration would find it hard to persuade Congress or the American public to keep supporting the country. The Pakistanis will come with a similarly mixed message. While Pakistan is grateful for the strong American support after the flood, Pakistani officials said, it remains frustrated by what it perceives as the slow pace of economic aid, the lack of access to American markets for Pakistani goods and the administration’s continued lack of sympathy for the country’s confrontation with India. Other potentially divisive topics are likely to come up, too, including NATO’s role in reconciliation talks between President Hamid Karzai of Afghanistan and the Taliban. Pakistani officials say they are nervous about being left out of any political settlement involving the Taliban. Still, in a relationship suffused by tension and flare-ups — most recently over a NATO helicopter gunship that accidentally killed three Pakistani soldiers and Pakistan’s subsequent decision to close a supply route into Afghanistan — this regular meeting, known here as the strategic dialogue, serves as a lubricant to keep both countries talking. At this meeting, Secretary of State Hillary Rodham Clinton will formally introduce the new American ambassador to Pakistan, Cameron Munter. Mr. Munter, who recently served in Iraq, replaces Anne W. Patterson, who just wrapped up her tour of duty in Islamabad. “No country has gotten more attention from Secretary Clinton than Pakistan,” said Richard C. Holbrooke, the administration’s special representative for Afghanistan and Pakistan. 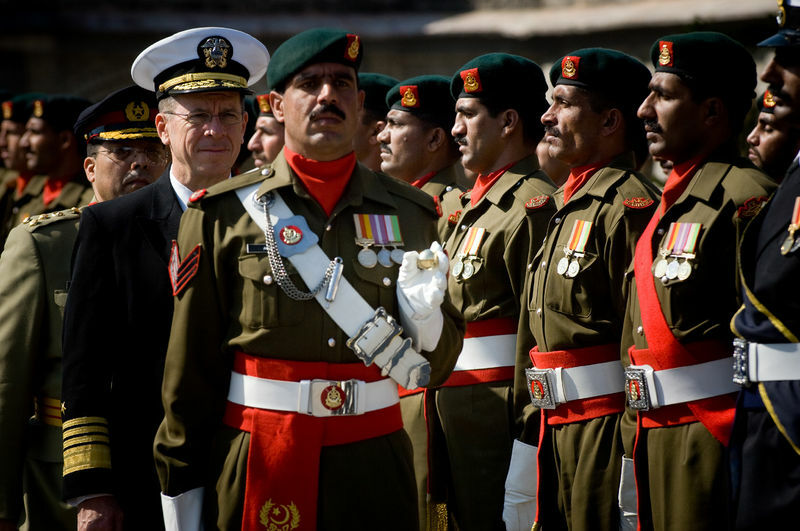 Pakistan’s delegation will be led by its foreign minister, Shah Mahmood Qureshi, but much of the attention will be on another official, the military chief, Gen. Ashfaq Parvez Kayani, who is viewed by many as the most powerful man in Pakistan. White House and Pentagon officials said one immediate goal of this meeting was to ease the tensions that led Pakistan to close the border crossing at Torkham, halting NATO supplies into Afghanistan. Officials on both sides said that acrimony from the border flare-up had already receded, soothed by the multiple apologies that American officials made to Pakistan last week. The new security pact would have three parts: the sale of American military equipment to Pakistan, a program to allow Pakistani military officers to study at American war colleges and counterinsurgency assistance to Pakistani troops. Currently, the United States spends about $1.5 billion a year to provide this same assistance, but it is doled out year by year. The new agreement, if endorsed by Congress, would approve a multiyear plan assuring stability and continuity in the programs, although Congress would continue to appropriate the financing on a yearly basis. “This is designed to make our military and security assistance to Pakistan predictable and to signal to them that they can count on us,” said a senior official. At the last dialogue in Islamabad in July, Mrs. Clinton presented more than $500 million in economic aid, including plans to renovate hospitals, upgrade hydroelectric dams, improve water distribution and help farmers export mangoes. But the floods upended those plans, and officials said they now planned to redirect funds to more urgent needs. This week’s meeting will also be shadowed by a new eruption of political instability in Pakistan: the government of President Asif Ali Zardari is locked in a confrontation with the Supreme Court over the court’s demand that senior ministers be fired on corruption charges. Analysts said they were less worried about the atmospherics than the underlying differences in perspective. The administration’s public contrition for the cross-border attack has largely resolved that issue, said Daniel S. Markey, senior fellow for India, Pakistan and South Asia at the Council on Foreign Relations. But Mr. Markey said he saw potential friction stemming from the American openness to reconciliation with the Taliban. With the United States facilitating rather than guiding the talks, he said, there could be poor coordination between the Afghans, NATO and others — all of which would rattle the Pakistanis. Another potential bone of contention is one of President Obama’s nuclear objectives: a global accord to end the production of new nuclear fuel. Pakistan has led the opposition to the accord. And without its agreement, the treaty would be basically useless. The Indus, like the other rivers that originate in the Himalayas, carries an enormous sediment load — something in the order of 300 tons per square kilometre per year. The Himalayas, a relatively young mountain range, is comprised of soft rocks which are highly susceptible to erosion by the monsoon rains. In the past – every spring and summer – the Indus would bring the waters of melted snow and rains from the mountains, as well as millions of tons of sediment to the plains and eventually to its delta at the Arabian Sea. The sediment would be deposited along the river banks as the river flooded, and in the delta, in a vast fan that stretches several hundred kilometres out into the Arabian Sea. In the last 150 years, with the construction of numerous levees, barrages and dams on the Indus and its tributaries, the natural flow of the river has been dramatically altered. To bring more land under cultivation, the course of the Indus has been restricted within its banks. Huge quantities of water – nearly 75 per cent of the total – are drawn off from the Indus for crop irrigation. Unfortunately, water management projects are engineered to control the flow of water and are rarely designed to address the enormous sediment load. Large amounts of water, drawn from the Indus for irrigation, limit the river’s ability to carry the sediment which settles in the river bed. Over the years this has resulted in raising the river bed well above the surrounding land. Even higher levees are then built to contain the river within its banks. In its constrained state, the Indus is incapable of handling flood surges. Once the flood waters breach the levees there is no way for the flood waters to drain back into the river. This year, the flood itself was a short event; we have spent most of the last several weeks moving the water from one area to another, trying to spread it out and minimise its damage. The Indus and its tributaries naturally drain a vast area of this country. Our water management infrastructure has rendered them incapable of performing that function. In trying to convert the Indus into the equivalent of a vast domestic water system, whereby with the turn of a switch water can be tapped off as and when needed, we have severely compromised its ability to drain its watershed. Similarly, dams will do little in the long run to control floods or even store extensive amounts of water for irrigation. Again, the sediment in the river is the determining factor. The Tarbela Dam, which was completed in the mid 70s and was a major engineering achievement for Pakistan, has already lost about 28 per cent of its reservoir capacity due to silting. In another generation, it is quite likely that the Tarbela’s water storage capacity will be reduced to nothing and it will simply function as a run-of-the-river hydroelectric power generator. That seems like an extremely short lifespan for a major infrastructure project which, during its construction, was responsible for an enormous socio-cultural and environmental impact on the surrounding region. The Kalabagh Dam, or any other dam on the Indus, will likely face the same choice of a very high initial cost in terms of financial investment, population displacement and environmental cost, for diminishing returns over a relatively short lifespan. This is not to say that dams do not have their utility. The Tarbela Dam has been instrumental in revolutionising agriculture in Pakistan. But the benefits of large dams need to be weighed against the huge costs paid by the affected people and by the environment. A balance needs to be struck between the needs for agriculture and domestic use and the need for the river system to sustain itself and its delta. New thinking on water management strategies must be introduced in Pakistan. More thought and effort must be expended on water conservation, reduction of wastage, and careful selection of low-water-consuming crops. This public discourse is sorely missing in Pakistan and needs to be initiated at the earliest so that we move forward from this calamity and establish a more productive relationship with the river that sustains our country. Pakistan’s historical narrative focuses on how the U.S. worked with Pakistanis and Afghans to drive the Soviets from Afghanistan in the 1980s: We succeeded—and then we left. And on our way out, we slapped sanctions on Pakistan, ending all security and economic assistance because of the country’s nuclear program, which we had known about since 1974 when Pakistan’s prime minister announced it publicly. We left Pakistan alone to deal with a destabilizing civil war in Afghanistan, and when the Taliban emerged as a dominant force in the mid-1990s, Islamabad supported them as a means of ending the conflict. Then came 9/11 and the U.S. was back. Pakistanis welcomed the renewed assistance. But a constant question I heard while serving as ambassador to Pakistan from 2004-2007 was “How long will you stay this time, and what mess will you leave us with when you go?” For a fragile state with innumerable problems, including a vicious internal insurgency, these are existential questions. Never in Pakistan’s six decades of existence has the U.S. sustained a long-term, strategic commitment in the country. The Bush administration recognized this and enacted security and economic assistance programs designed to make a long-term difference in education, health care and governance. In 2006, I argued successfully for a five-year assistance package for Pakistan’s Federally Administered Tribal Areas (FATA), which are notable both for chronic underdevelopment and extremism. The Obama administration has built on this, and last year’s Kerry-Lugar bill provided $7.5 billion in assistance over five years. So we have the architecture in place to build a strategic relationship. The U.S. can better work with Pakistan if we improve our understanding of history: Given its rivalry with India and its organic disunity, which dates back to its founding, Pakistan fears for its basic survival. The country has always had a difficult relationship with Afghanistan, not least because in the 19th century the British deliberately drew the Pakistani-Afghan border, the so-called Durand Line, in order to divide the Pashtun people. Today Pashtuns make up Afghanistan’s largest community, but there are more Pashtuns in Pakistan. The Durand Line also set the groundwork for the tribal areas, which are legally distinct from the rest of Pakistan because the British could never exert direct control over them. No central authority ever has. Winston Churchill’s first published work, “The Story of the Malakand Field Force,” is about fierce tribesmen declaring jihad against a Western army. It could be a contemporary account. First, the U.S. should appreciate Pakistan’s challenges and support its government in dealing with them. This summer’s devastating floods have disappeared from the U.S. media but will continue to wreak havoc in Pakistan for a long time to come. In 2005 and 2006, after an earthquake in Kashmir killed almost 80,000 Pakistanis, the U.S. organized the largest relief operation since the Berlin Airlift. The floods’ death toll is lower, but their long-term damage will be far greater. U.S. support should be commensurate. Private talks should deepen regarding challenges like the insurgent Haqqani network in North Waziristan, and we need to listen at least as much as we lecture.Fourth, any talks between the U.S. or Afghanistan and the Taliban must be transparent to the Pakistanis. A nightmare for Islamabad is the prospect that the Americans and Afghans come to some accommodation with Taliban elements that would leave them hostile to Pakistan. If Pakistan is not part of the process, we will be working at cross-purposes and only the Taliban will benefit. Pakistan’s arrest of Taliban leader Abdul Ghani Baradar—at a time when he had begun reconciliation talks with Afghan authorities—underscored the risks of leaving Islamabad out of the loop. Going forward, the timing and nature of talks with the Taliban should be set by Afghans, Pakistanis and Americans working together. Mr. Crocker, the dean of Texas A&M’s George Bush School of Government and Public Service, was U.S. ambassador to Pakistan from 2004 to 2007 and U.S. ambassador to Iraq from 2007 to 2009. U.S. media coverage of Pakistan’s flood disaster remains low while apathy and misinformation run high. Throughout the summer, while politicians and news correspondents debated endlessly over the precise coordinates of New York’s Park 51 community center, an immense disaster struck the nation of Pakistan. Floods covered much of the country, leaving an area roughly the size of England underwater, and inflicting more damage than South-East Asia’s tsunami, and Haiti and Kashmir’s recent earthquakes combined. The U.S. media, however, has scarcely reported on the flooding. In the two weeks following Haiti’s earthquakes, The New York Times published 88 articles on the topic. About the flooding? 15. And only one of these was front page – one discussing “hard-line Islam” in flooded Pakistan. In an effort to raise awareness of Pakistan’s situation and contribute donations for flood relief, Northwestern students have launched a campaign called NU Stands with Pakistan. Weinberg junior and SASA co-president Sahil Mehta is one of the students leading the initiative. “I think it’s a unique opportunity to push a world view of saying we’re all in this together, these people are the same people who are suffering in the United States, the people who are suffering in Pakistan are the same people who were suffering in New Orleans during Katrina, the same people who are suffering in Haiti,” he says. 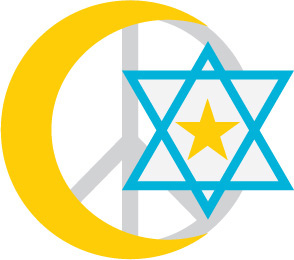 Members of Northwestern’s community were personally affected; Northwestern has a large number of Pakistani international students and students of Pakistani descent. “NU Stands with Pakistan is about what stance our community takes when something like this happens. Whether its in Haiti, whether it’s a tsunami, whether it’s in Pakistan,” Mehta says. Alongside the underreporting of Pakistan’s floods, there has been a low response in aid donated for Pakistani flood relief compared with other recent natural disasters. “I think at the end of the day our information controls our action, we are reactions to what we see, and if we’re not seeing anything, I think it’s going to de-motivate people to act,“ Mehta says. Professor Loren Ghiglione says that while U.S. media is a large influence upon its audience, it is also a reflection of its audience. “There’s good coverage [available], but it’s probably in a limited number of places, and the question is also who bothers to look at it? Partly, it’s the public’s response too,” he says. McCormick sophomore Khalid Aziz lives in Lahore, Pakistan. 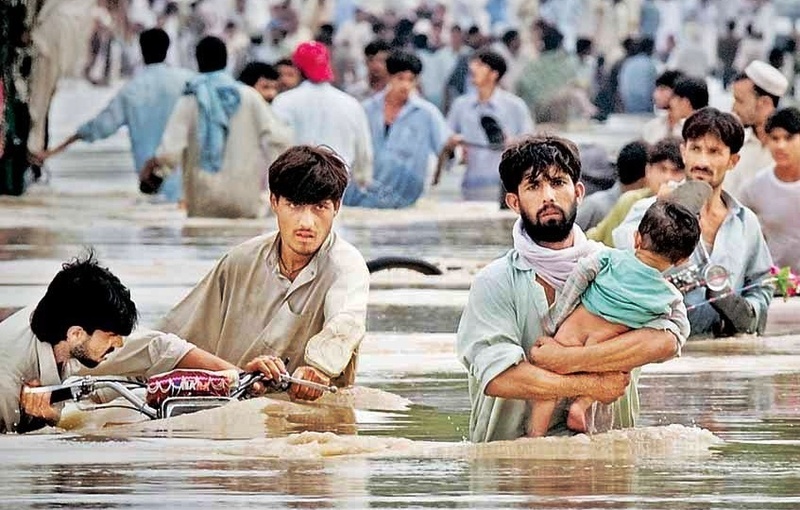 Lahore, alongside Pakistan’s other major cities, was not directly affected by the flooding; however, most of Pakistan is experiencing the economic effects of the disaster and the pain of watching so much of its population displaced. “Whenever we tried going out, you just couldn’t have fun in Pakistan because you were feeling so guilty, because one fifth of the population was directly affected by these floods, and the rest were indirectly effected by the rising food prices, and it’s only going to get worse because so much of agrarian life is underwater,” Aziz says. 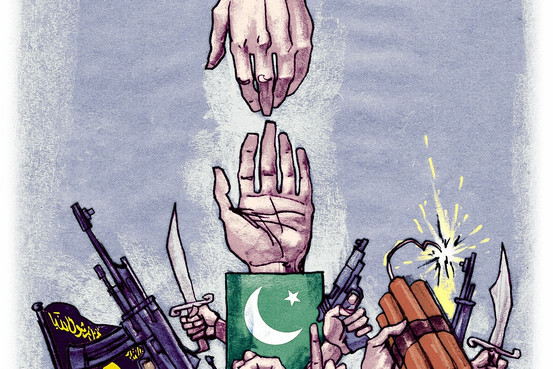 Though the majority of Pakistanis have zero connection to the so-called terrorist groups that the media frequently covers, the constant news reports affiliating Pakistan with terror creates quite the opposite impression. “I think that the media needs to have a bit more of a conscience in this regard. [When] the only thing [the average American] sees about Pakistan is about terrorism, he might not send in the 10 dollars or 20 dollars he could have otherwise sent to the flood victims,” Aziz says. With the limited media coverage of Pakistan, most of which talks of violence and some of which now speaks of suffering, displaced human beings, deciding how to feel towards Pakistan remains a challenge for many. “There may be a sense of ‘is Pakistan our friend or our enemy or what?’” Ghiglione says. “Pakistanis are people who Americans’ fear is instinctively telling them not to feel bad for, but their human side is saying that these are just regular people, these are average people who are trying to lead lives and earn honest livings just like myself and my neighbor,” Mehta says. NU Stands with Pakistan is raising funds throughout this week at Norris and Scott Hall. Funds will go to Oxfam to assist with flood relief efforts. “We’re hoping to motivate a dialogue that continues past this campaign, that continues into the year and continues in classes and discussions an other events,” Mehta says. A survey of Pakistanis living near the worst-hit areas of 2005 earthquake finds enduring positive attitudes toward foreigners, including Americans. Is all that foreign aid flowing into Pakistan in the aftermath of last month’s massive floods changing the way Pakistanis feel about the West, and in particular the United States? Public opinion surveys conducted in Pakistan in the past have suggested that the country’s very low opinion of Westerners and Americans in particular doesn’t improve much as a result of sudden foreign largesse in response to a natural disaster. But a new study plumbing the views of more than 28,000 households in 126 villages in the part of Pakistan devastated by a massive earthquake in 2005 finds that attitudes toward foreigners, including Americans, shifted significantly to the positive and in an enduring manner as a result of assistance from abroad. Debate over the impact of foreign aid and what role it plays in improving America’s image abroad has bubbled ever since the 9/11 terrorist attacks and the ensuing national probing around the theme of “Why do they hate us?” Surveys showed that opinions of America improved sharply among Indonesians after significant US assistance flowed in following the 2004 tsunami. But similar polls in Pakistan suggested that minor improvements in America’s rock-bottom image after the 2005 earthquake were soon lost. Subsequent surveys of Pakistani opinion also have suggested no lasting improvement in views of the US and Americans. The question is resurfacing once again in the wake of the summer’s centennial floods and the significant assistance the US has provided. At a ministerial meeting at the United Nations in New York Sunday, Secretary of State Hillary Rodham Clinton announced that the US has provided about $345 million in what was initially rescue and emergency aid efforts and which has now shifted to relief and early recovery work. The American military was involved in the rescue of more than 15,000 people and in delivering more than 7 million pounds of food and other supplies, she said. In particular, a Pakistan Relief Fund created especially for individual Americans to make $10 donations over their cell phones has brought in $2 million, Secretary Clinton said. That sum will be matched by Proctor and Gamble and will go towards new water purification projects in flood-stricken areas. Not only is such assistance appreciated, but Mr. Andrabi found in his study that affected populations remember who provided assistance – and retain a positive image of foreigners because of it – years after the disaster. Andrabi and the World Bank’s Mr. Das carried out their study in 2009, four years after the earthquake. “What really struck me is that the image of foreigners remained so positive in many of these households a considerable length of time after the disaster, and also over a period that included things that tarnished Westerners’ image generally in Pakistan,” he adds. Such harmful factors include the controversy over the Danish cartoons depicting the prophet Muhammad, the growing use of US drones in Pakistan in targeted attacks on Taliban leaders, and rising terrorist violence across the country that many Pakistanis attribute to stepped-up US involvement in domestic issues. In particular, Andrabi’s study finds that trust of foreigners rose higher the closer people lived to the quake’s fault line, while the level of trust in national institutions did not vary over the wider quake-effected region. That suggests to Andrabi that the concentration of foreign assistance in the most devastated areas – often in places where few foreigners had traveled before – was retained by locals as a positive expression of global concern. Previous polling of Pakistani attitudes sought to reflect national views. The Andrabi survey shows that while the affected populations understood that the US and other foreign countries were operating from a mix of motivations, most people did not see the assistance as “a cynical attempt by Americans to win hearts and minds,” Andrabi says. Procter & Gamble is teaming up with the U.S. government to provide 28 million water purification kits to help flood victims in Pakistan. 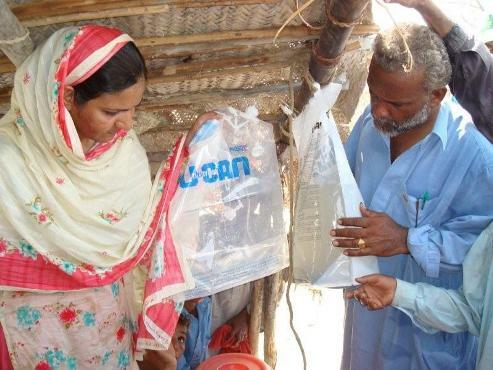 “P&G is eager to bring clean drinking water to the people of Pakistan by partnering with USAID and the U.S. State Department’s Pakistan Relief Fund so that our many partners in Pakistan can provide more than a quarter of a billion liters of clean drinking water,” said Bob McDonald, P&G chairman of the board, president and CEO. The purchase and distribution of water purification supplies marks the first disbursement of the State Department’s Pakistan Relief Fund. Created in the aftermath of the horrific floods that have devastated the country since July, the fund serves as a mechanism for the public to contribute money to the ongoing relief efforts. According to the State Department, approximately $500,000 in private American and other contributions, including significant support from the Pakistani-American Diaspora community, will be matched by $500,000 from Procter & Gamble. An additional $1 million will be provided by the United States Agency for International Development, or USAID, a State Department agency. The $2 million will purchase the 28 million water purification kits and deliver them to Pakistani flood victims. These kits include buckets and filtering cloths, which will generate 280 million liters of clean drinking water for 1.5 million people in desperate need. The P&G kits utilize PUR packets, a water purifying technology developed by P&G and the U.S. Centers for Disease Control and Prevention to help reduce sickness and death resulting from drinking contaminated water. One small PUR packet quickly turns 10 liters of dirty, potentially deadly water into clean, drinkable water, P&G said. McDonald said that P&G is well positioned to respond to this crisis with the PUR packets because they are manufactured in Pakistan. The company and its partners in Pakistan will work with local humanitarian groups to provide PUR packets as well as training to ensure proper use. Millions are without safe drinking water and water-borne diseases are spreading, the State Department said. Approximately 2,000 people have died in the floods, which began in July and are considered the worst natural disaster in the nation’s history. The UN estimates that close to two million homes have been destroyed and as many as 21 million people have been injured and or left homeless by the catastrophe. 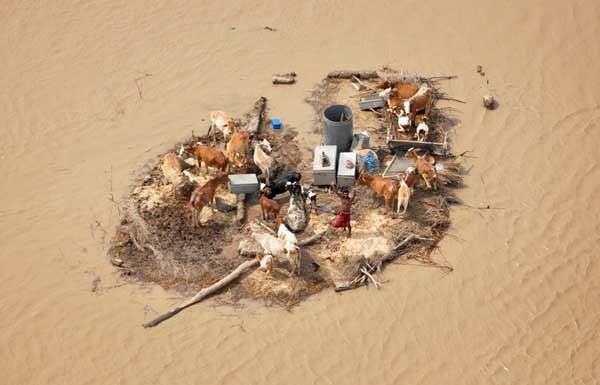 The UN, trying to feed 6 million Pakistanis, sent out another call for assistance to the world’s nations this weekend – the largest disaster appeal in UN history – asking for $2 billion in aid. 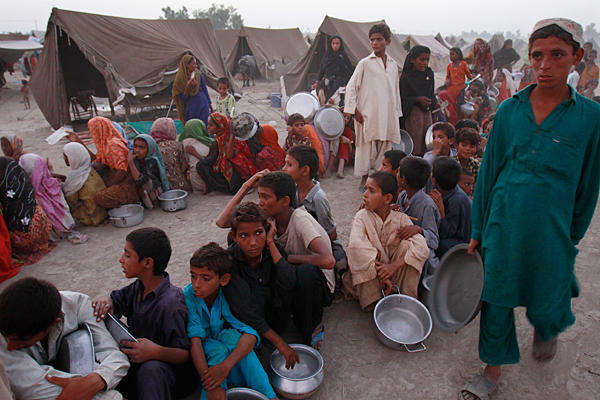 In response, the United Kingdom more than doubled its pledge to Pakistani relief, bringing the total to $209 million. The U.S. raised its commitment to $345 million.